When Revealed: The first player chooses a card in his hand. 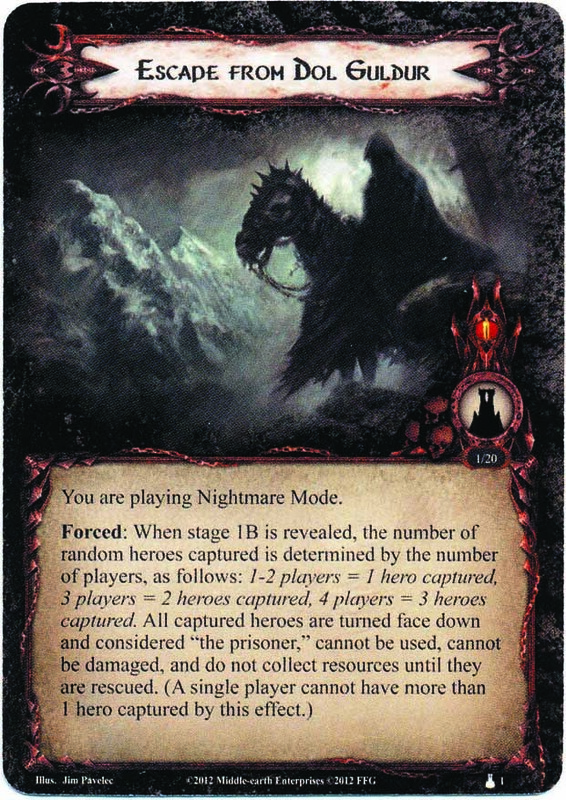 The opposing team looks at the first player's hand and chooses a different card to place faceup under Necromancer's Pass as a guarded objective. 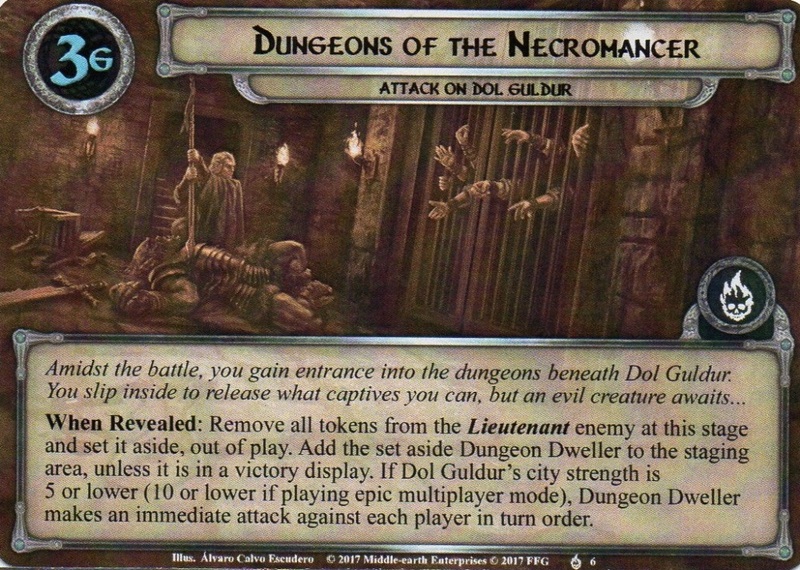 While Necromancer's Pass is guarding a card, copies of that card cannot be played. 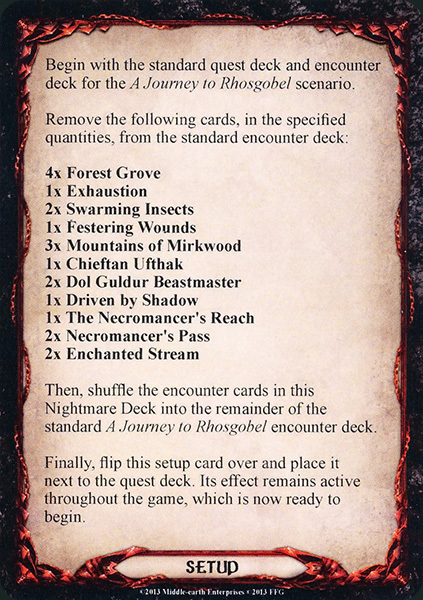 When Necromancer's Pass is explored, return the guarded card to its owner's hand. 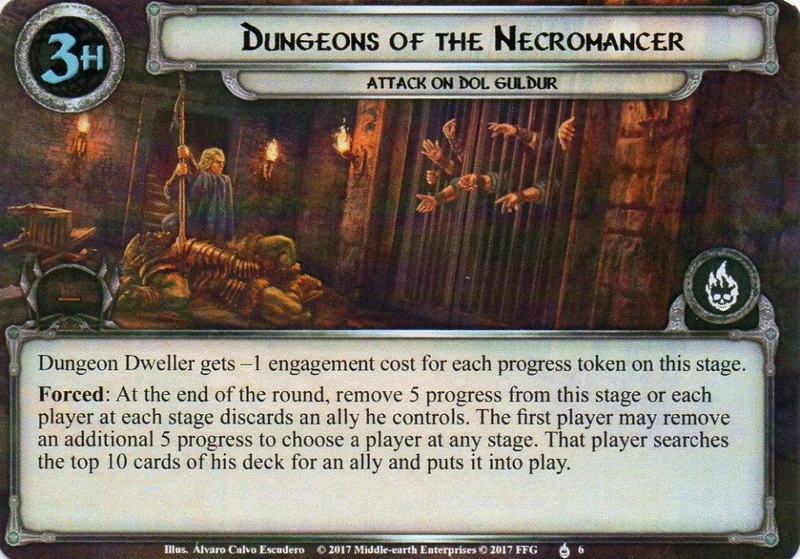 Forced: After Dol Guldur Beastmaster engages you, the opposing team searches the encounter deck and discard pile for a Necromancer's Warg and puts it into play engaged with you. 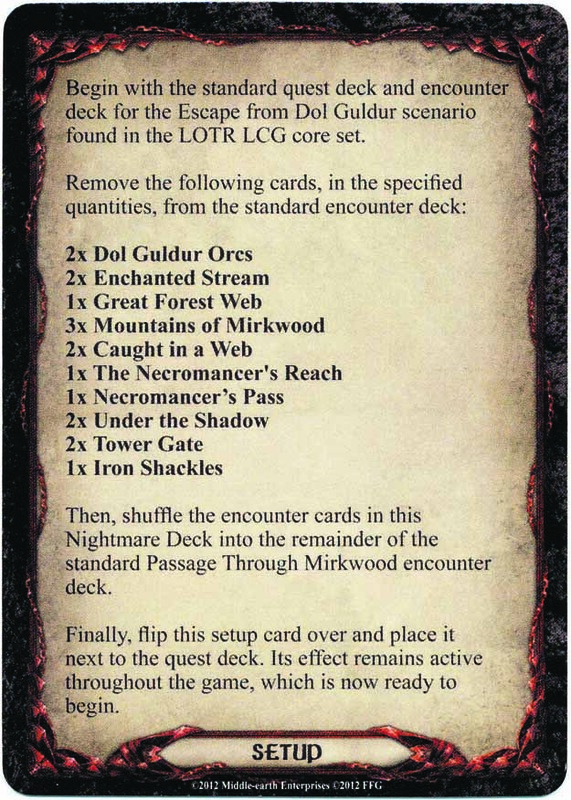 Shuffle the enconter deck. 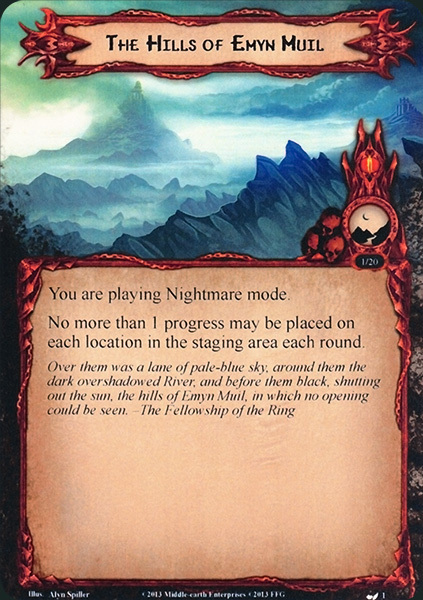 You are playing Nightmare mode. 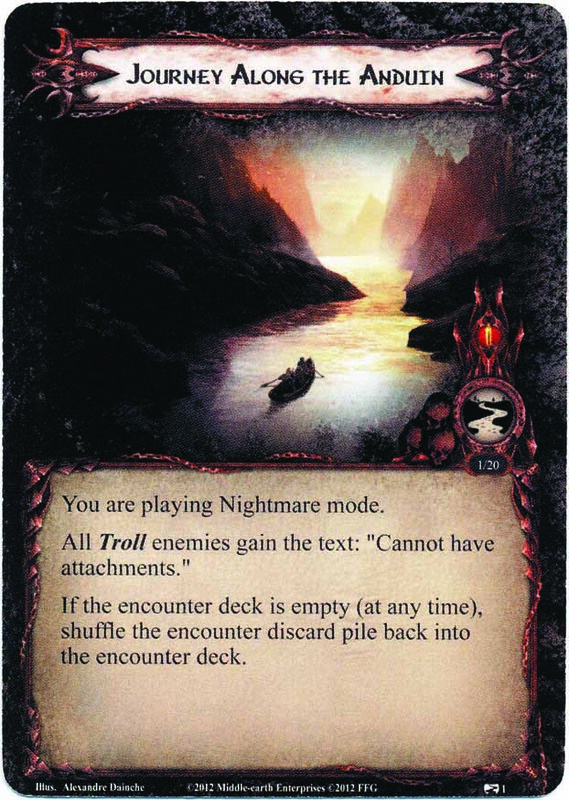 All Troll enemies gain the text: "Cannot have attachments." 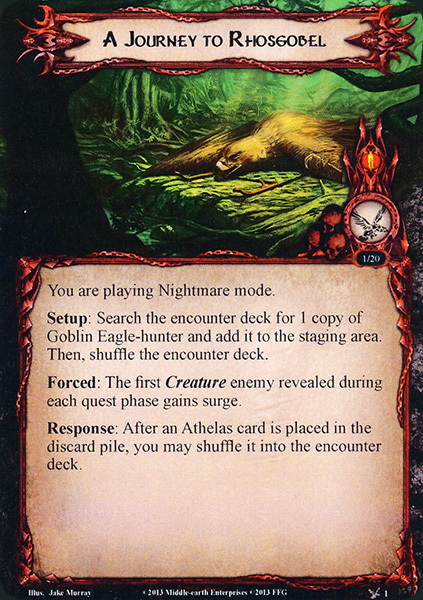 If the encounter deck is empty (at any time), shuffle the encounter discard pile back into the encounter deck. 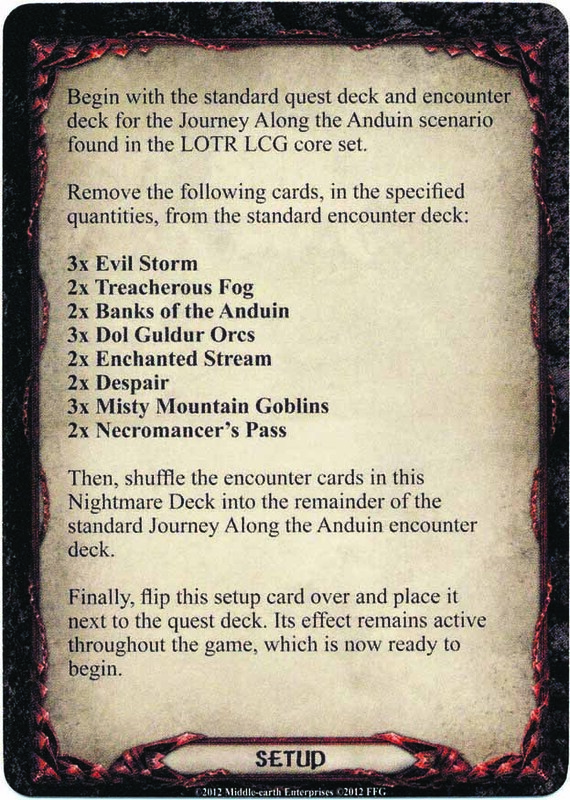 Begin with the standard quest deck and encounter deck for the Journey Along the Anduin scenario found in the LOTR LCG core set. 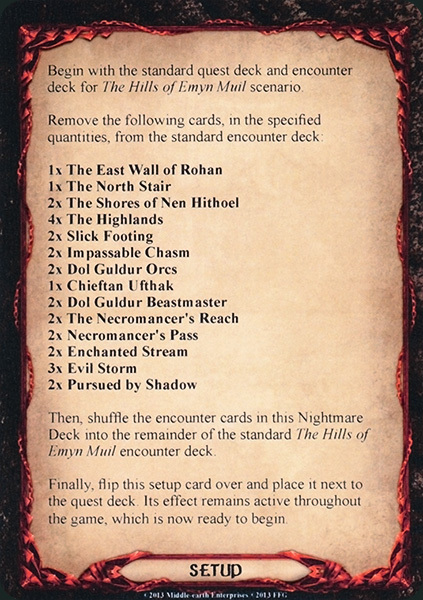 Remove the following cards, in the specified quantities, from the standard encounter deck: 3x Evil Storm 2x Treacherous Fog 2x Banks of the Anduin 3x Dol Guldur Orcs 2x Enchanted Stream 2x Despair 3x Misty Mountain Goblins 2x Necromancer's Pass Then, shuffle the encounter cards in this Nightmare Deck into the remainder of the standard Journey Along the Anduin encounter deck. Finally, flip this setup card over and place it next to the quest deck. Its effects remain active throughout the game, which is now ready to begin.